Special Offers from Discount School Supply®! Don't miss exclusive deals from Discount School Supply! Discount School Supply offers early childhood educators, caregivers and parents of young children the lowest prices, 110% guaranteed on teaching supplies, arts & crafts, curriculum support, active play and other products designed to support early childhood development. Since when is it not just a dream to save big money on cribs? Since the Discount School Supply Crib Sale, that's whe n! For a limited time, save $119.96 on an Angeles® Compact Drop-Side Crib. Too good to be true? Rest assured! The savings are here! 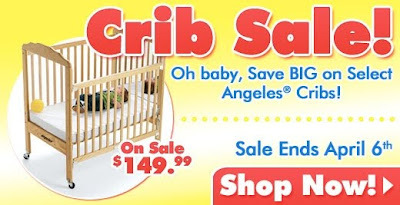 Angeles® cribs are America's best cribs. Cribs and crib mattresses meet or exceed all ASTM and CPSC as well as California Flammability 603 and 16CFR1632 and CFR1633 Flammability standards. Made from American ash wood, Angeles® cribs are easy to assemble. Choose Clear View or Clear Panel and also choose between Natural or White finish. 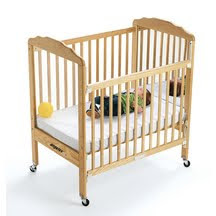 Each crib includes a 3" mattress and 2" solid casters. 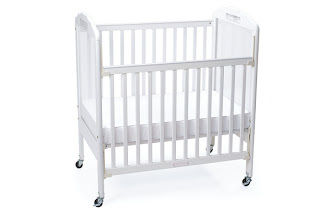 Angeles® cribs also feature a 5-year warranty. Better yet, Angeles® cribs ship within 3 days. But the best part? The extra savings! Save 44% off the suggested retail price of an Angeles® Compact Drop-Side Crib during the Discount School Supply Crib Sale. That's $119.96! But you have to hurry, early childhood educators. This dreamy sale ends April 6th! Click over to Discount School Supply right now to take advantage of these incredible savings for your infants and toddlers. And while you're at Discount School Supply, be sure to check out other amazing deals on educational products for little learners like Manipulatives, Arts and Crafts, Furniture, Dramatic or Active Play, Curriculum Resources and more. Budget Boosters: All $2.99 or LESS! Save on Special Needs Products Too!